Details emerged yesterday about a new videogame console that may be in the works. 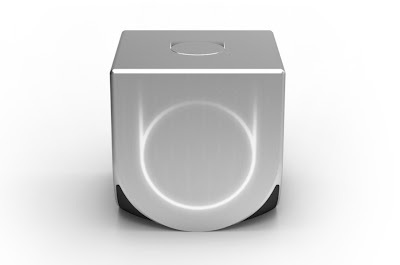 The console called Ouya will apparently run Android and offer free games. It was discovered by The Verge through an entry on AngelList, a portal connecting start-ups to potential investors. The entry has since been removed, but the Google cache still exists. The page notes a number of industry veterans as attached to the project. Founder and CEO is Julie Uhrman, "former IGN head of digital distribution." Peter Pham, co-founder/partner at Science” and of Photobucket and Color fame is an advisor. 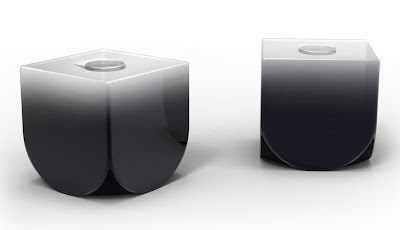 As is Yves Behar, ”founder chief designer fuseproject, CCO Jawbone”, who will design the console. Most prominently, Ed Fries, ”VP of Microsoft, Retired - co-founder of Xbox project”, is on board. Open, accessible game console for the biggest market in games: TV. Any developer can publish games, just like mobile or social games today (but like no other console game platform). Orders of magnitude less expensive to develop. Inexpensive enough for every consumer to buy, $99, and all the games are free to play. Every console is a dev kit; build peripherals, root the system -- built to be hacked. Designed by Yves Behar and fuseproject, creators of Jambox. Built with Android as embedded OS. Apart from two product renders and an interface mockup, that is all the information there is. There is a dedicated product website at www.ouya.tv, but the anonymously registered site redirects to the Wikipedia entry on disruptive innovation. Now, this all sounds pretty good at face value. But I believe such a project is sure to fail. First of all, industry veterans are no guarantee for success. It may sound impressive to have Ed Fries behind the Ouya. But many of you may still remember the ill-fated Phantom gaming console, which also had a former Xbox founder behind it, Kevin Bachus. The device never even came close to being sold. Gildred founded Indrema in January 2000, when funding was easy to come by, and had a staff of 50 until recently. The first Indrema model, code-named the L600, was scheduled to ship this summer [article written in April 2001], months before Microsoft's Xbox. However, venture capitalists didn't like its chances against Xbox or Sony's PlayStation 2, even though Gildred's plan was to slowly roll out a grass roots campaign and grow from there. Hundreds of independent developers were developing games for the platform, which was to launch with 30 games. The open-sourced system allowed for anyone with a computer to get the development kit for free online and create games for Indrema. 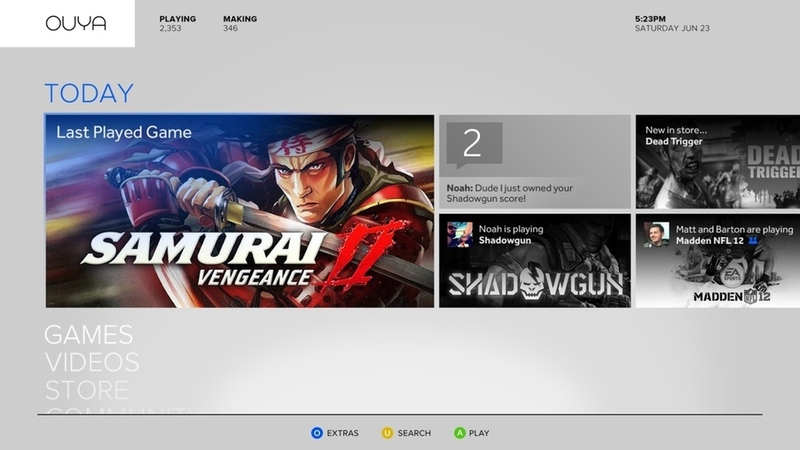 Games were to have been distributed online and at retail. So why did it all go under? Gildred spoke frankly about why the Indrema L600 failed. Timing [is essential]. The capital markets are very difficult, and it takes money to build the box. I wish there was some work around to that problem, but not yet. I do see that more and more, it is becoming easier and cheaper to build an embedded prototype in your basement. I foresee much more activity that way. It will be interesting to see the progress over the next year. Back then, there were also rumours that the big console manufacturers had done their part to discourage potential Indrema investors. Gildred officially denied this (”I don't think there was an agenda by the competition to kill interest in funding Indrema.”), but Microsoft, Sony and Nintendo certainly have some leverage over their third parties. Most importantly, Gildred had some advice for similar projects. If I do a game console project in the future, I will make sure that the capital will be there for 3yrs. (…) My suggestion to the next startup, finish product before talking about it. The people behind the Ouya console have certainly ignored this advice. What we have are a few sentences describing the product and some product renders. Of course, these are different times. Back in 2000, investors would have reacted much more skeptical to the concept of free games. And while it is unclear from the sketchy details whether the Ouya will actually offer access to Google Play, Android has attracted a huge developer community and there are some casual titles worth our albeit brief attention. Also, a $99 price point for the hardware sounds rather attractive. But why invest even that? What benefit would people get from buying the Ouya when they already have an Android smartphone running the same or similar games? What benefit would there be for developers to support the platform? What business model would be in place? The incentives for developers to throw their weight behind a platform such as Android or iOS have been grossly overstated. Bear in mind that it is already a one-in-a-million shot to have your game found in a sea of hundreds of thousands with extremely poor filter options on all mobile platforms. Blogger and entrepeneur Hector Rodriguez rounded up a number of facts regarding app development. The app stores are somewhat of a junkyard, already Apple’s app store and android market boast well north of 500,000 apps each. Most apps are never downloaded or ever used. Studies claim 29% of downloaded apps are only used once (I am anecdotal evidence of that). There are over 200,000 developers in the app stores, way too many, a fertile campground for techie newbies and citizen developers. Not a market for the ‘respectable’ enterprise or application development (AD) teams. +72% apps are either free or just $0.99, with an average price for non game-related apps of $2.22. On top, take off the “expensive” (sic) 30% take for apple and there is no self-respectable business that could grow beyond the anomaly of Zynga. App stores can not simply compete in dollar size with enterprise markets. Being successful in either the App Store or Google Play has been likened to a lottery, with more than half of developers not even breaking even (this figure is suspected to be perhaps as high as 90 percent). Even developers themselves are out to destroy some common myths about app success. For example, havin an app in the top 100 charts might mean you are making no more than $4 a day. Some developers have already turned their back on platforms like Android because it simply is not profitable anymore. And with Trip Hawkins, the first industry veteran has left a previously hyped-up mobile games developer he founded himself. So, perhaps, things have not changed all that much since 2000. 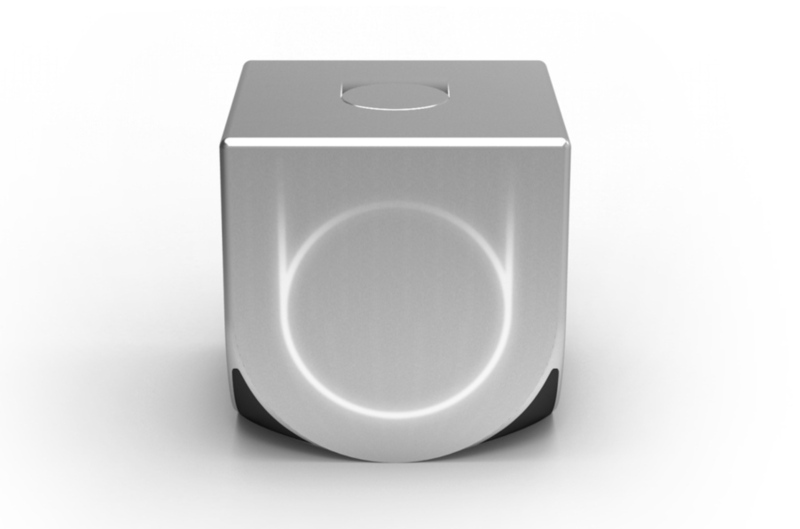 I am sure that we will next hear about the Ouya when we learn of the project being cancelled. This is sure to go the way of the Phantom and the Indrema L600. And do not get me started on the Pandora handheld. While it is still available on the market, the company hopes to sell 4.000 units in a few months. I suspect the GameBoy Advance outsells the Pandora. But at least they made it to market. I am sure the Ouya never will. EDIT The Ouya console project has now appeared on Kickstarter with a target of 950.000 US-Dollar already surpassed with just under a months to go. Finally, there is the wealth of information needed to secure funding for such a project. There are details about the business model for developers ("developers can offer a free demo with a full-game upgrade, in-game items or powers, or ask you to subscribe" - essentially the standard ´freemium´ model), notable words of praise by prominent developers, tech specs (the console will feature a Tegra3 quad-core processor, 1GB RAM and 8GB of internal flash storage) and the commitment "to have a finished product ready to ship to you in March." The information provided is thorough, though perhaps not exhaustive. At any rate, above points of criticism and caution remain. Not a single game is promised at this stage ("It’s a little early to share a final roster.") Also, I do not yet see a viable business model for the company (or, indeed, for the investors). As far as the company is concerned, they are mimicking Apple ("We'll share revenue – you get 70 percent."). This will further segment app developers' attention by introducing yet another unreliable market likely based on pothole luck more than anything else (see above). And as far as hardware is concerned, building a $99 device packing a Tegra3 quad-core chip does not reek of any profit. In fact, it sounds more like a subsidised console. Do not get me wrong, I wish them all the best. But I am still absolutely convinced that this project will be dead in the water by 2013. Just less than a million US-Dollars of funding sounds like a lot. But it is very little in the home console business. Companies like Microsoft, Sony or Nintendo have poured that money into their new consoles more than a hundred times over. Hey Andreas. You are right that there is no guarantee this will succeed. With technology the hard part is often not the idea, but finding the right time for that idea. Compare ipad to the Apple Newton, for example. Even when the ipad shipped, many critics were very skeptical until it started to sell. Indrema may have had the right idea but they tried to launch it at a very different time. Think how many things have changed in the last dozen years. We now have (more or less) ubiquitous broadband for distribution. We have the cloud for storage. We have cheap commodity parts that can do 1080p at 60 fps. We have a strong and growing independent game development community. We have a "free to play" game design model. And finally we have a customer base that is becoming increasingly used to paying for and valuing digital goods.Whether all of these together will add up to enough to make OUYA successful remains to be seen but it's certainly an exciting new time to try this idea once again. EDIT Developer American McGee (´Alice´, ´Bad Day L.A.´) has weighed in on the debate about the Ouya. Although the console is by now nearing $5 million in funding on Kickstarter with just over two weeks to go, he is as sceptical as myself, speaking to Game Informer. Well, I think you are missing a point. Free to play games evolved only really since we had web games, due to their fast interaction and not having the customer to buy the game first - if he only wanted to check it out if the game fits his needs. Due to the free to play concept, I think the console may have huge potential - just as all the arcade section on Xbox has. But to say, the huge advantage is that mobile games can be ported to the console - so it's more a "quickwin" for developers rather than a new platform - if the underlying APIs are well designed to detect the platform (e.g. for DPI factor, screen sizes, hardware etc.). Hi Anonymous. Got any arguments? Or just stereotypes? free to play just mean some point is free. like wow, only the 10 level will be free. Finding a one particular stop wedding clothing source would be the essential to locate the most beneficial dress for the marriage. Together with the wedding bells ringing, each and every bride dreams of donning themselves together with the most wonderful wedding dress. The concept is new and the price is low. So there are chances that if there are game titles are available to play with this console and this console also offer other feature of android like use of application and streaming than it will be successful.